Thermocouple material from the tip to the Mini-plug! 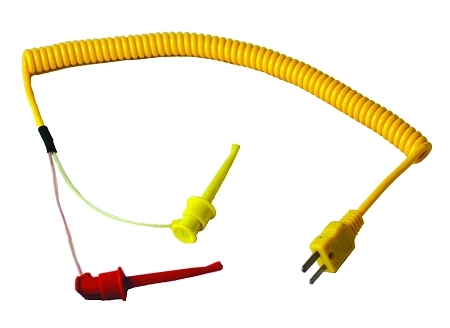 Thermocouple compensated Mini-Grabbers provide a continuous thermocouple connection from bare wires to the measuring instrument without attaching plugs. These connectors will save time and improve the accuracy of your measurement. Stop making thermocouple measurements with copper connections!